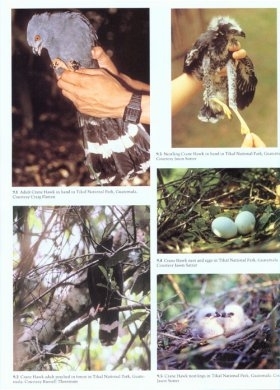 Until recently, surprisingly little has been known about the biology and behavior of tropical forest raptors, including such basic aspects as diets, breeding biology, habitat requirements, and population ecology, information critical to the development of conservation efforts. The Peregrine Fund conducted a significant eight-year-long research program on the raptor species, including owls, in Tikal National Park in Guatemala to learn more about Neotropical birds of prey. Impressive and unprecedented in scale, this pioneering research also involved the development of new methods for detecting, enumerating, and studying these magnificent but often elusive birds in their forest home. Beautifully illustrated with photographs of previously little-known species, the resulting book is the most important single source for information on the lowland tropical forest raptor species found in Central America. 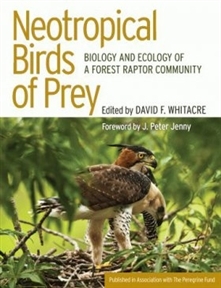 Neotropical Birds of Prey covers twenty specific species in depth, including the ornate hawk-eagle, the barred forest-falcon, the bat falcon, and the Mexican wood owl, offering thorough synopses of all current knowledge regarding breeding biology and behavior, diet, habitat use, and spatial needs. 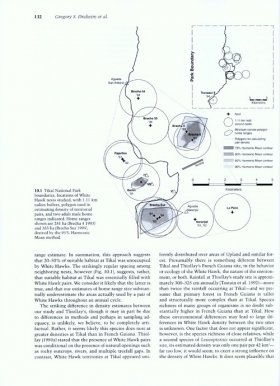 Contributors to this landmark work also show how the populations fit together as a community with overlapping habitat and prey needs that can put them in competition with reptiles and mammalian carnivores as well, yet differ from one another in their nesting or feeding behaviors and population dynamics. 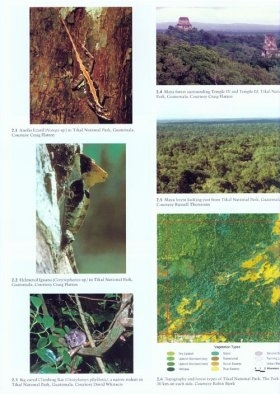 The work's substantive original data offer interesting comparisons between tropical and temperate zone species, and provide a basis for establishing conservation measures based on firsthand research. Making available for the first time new data on the biology, ecology, behavior, and conservation of the majestic owls and raptors of the New World tropics, this book will appeal to a wide ornithological readership, especially the many raptor enthusiasts around the world.